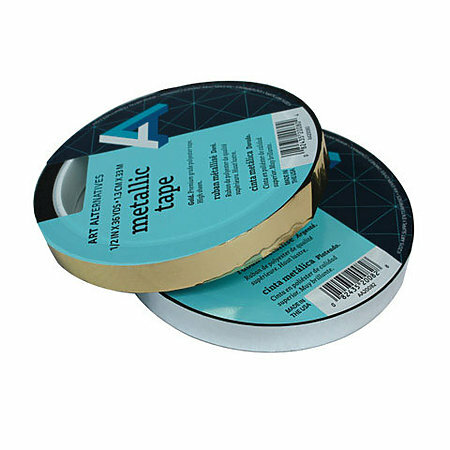 This multi-purpose, premium grade tape is made of metalized polyester film. It can be used for decoration, color-coding or adding sparkling highlights to various crafts projects. It is available in gold or silver in 36 yd. rolls.